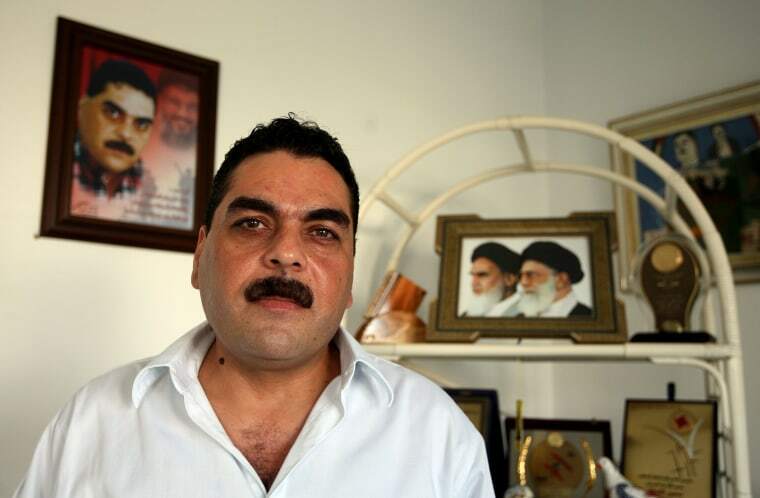 BEIRUT — Samir Kantar, a Lebanese man who was convicted of executing one of the most notorious attacks in Israeli history and spent nearly three decades in an Israeli prison, has been killed in an Israeli airstrike that targeted a residential building near the Syrian capital, the Lebanese Shiite Hezbollah group said Sunday. Hezbollah said Kantar, known in Lebanon as "The Dean of Lebanese Prisoners" for being the longest-held prisoner in Israel, was killed along with eight others in the strike in the Damascus suburb of Jaramana Saturday night. Hezbollah's Al-Manar TV said two Israeli warplanes that violated Syrian airspace fired four long-range missiles at the residential building in Jaramana Saturday night. It aired footage of what it said was the building, which appeared to be completely destroyed. Kantar's brother, Bassam, confirmed his "martyrdom" in a Facebook posting Sunday. Kantar was imprisoned in 1979 in Israel and sentenced to three life terms after he and three other Lebanese infiltrated Israel in 1979 and staged an attack in the northern coastal town of Nahariya, killing a policeman and then kidnapping a man and his 4-year-old daughter and killing them outside their home. Israel says Kantar, who was 16 at the time, brutally beat the girl to death by bashing her head with a rifle. He denies this, saying the girl was killed in the crossfire. As the attack unfolded, the girl's mother hid inside a crawl space inside their home and accidentally smothered their crying 2-year-old daughter, fearing Kantar would find them. Two of his co-conspirators were killed in a shootout with police. The third was also convicted and sent back to Lebanon in the 1980s as part of a prisoner swap. Kantar, 53, received a hero's welcome upon his return to Lebanon in 2008. Assad awarded him the country's highest medal during a trip he made to Damascus that year.